It’s that time of the year again. Most year twelve students around Australia would be starting to consider or in the midst of choosing their preference for university, vocational or a trade qualification. So how do you determine which degree/trade/pathway you should choose before you have even sat your end of year exams and received your enter score? I am going to blog from the perspective of my year twelve experience, as I believe it is general enough for others to have the same career questions and concerns that I did. My most vivid memory of my VCE experience is sitting in the one class we ever had with my schools career advisor while he wrote up a formula on the white board and asked us to fill in the equation with what we thought we would achieve as a study score (a number out of 50, the average being 30) for each of our subjects. My girlfriends and I confidently put in a combination of 35’s & 40’s, calculated the results and slumped over in complete disbelief….we could only manage a mere 70 something enter score with the above combination of study scores (we were mostly hoping for an 85 for the courses we wanted to get into). Looking back on it now, the reason for our complete complexity was not because we thought an enter score of 70 was bad, but because we couldn’t comprehend how the process worked and were not presented with any options or strategies as to how to work towards the careers we sought via the degree we needed to do so. I came home that night deflated and anxious. My Dad was utterly irritated with my schools lack of support, guidance and facilitation by the careers advisor and promptly booked be a session with a professional careers advisor who offered me relevant advice. 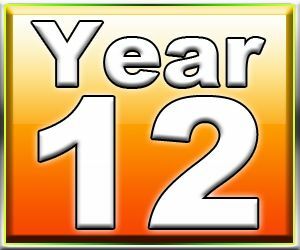 This is my recommendation to current year twelve students….yes, it may cost a little more money but from my own experience and the experience of my relatives and friends, there is only so much an in house careers advisor can offer you. Not only will a session with a professional careers advisor offer you pathways to your choice of career, they will assess your passions, strengths and desires and seek to inform you of alternative career pathways that you may have no considered prior to this. The most valuable thing I gained from my careers advisor was that she cast a notion of calm over the entire VCE, enter score and determining the rest of your existence concept and really put everything into perspective. At Harvest Human Resources we offer three hour career programs run every second Tuesday morning of every third month. We also offer one on one career coaching sessions in which you can dictate the content of what you would like covered. These sessions are run by our director, Maree Herath who has had twenty years’ experience in the recruitment industry and will happily share her insight into various industries and professions to assist year twelve student on their career journeys. Written by Associate Consultant, Louise McGuinness. To register for a career program or to make an appointment for a one on one career coaching session please go to the events page on our website or call us on 1300 363 128.